Personalized One Line Rectangle Wall Plaque - - 1 line uncluttered address sign holds five big bold numbers. Made in USA. Sleek border accentuates the rectangle shape and showcases the address. 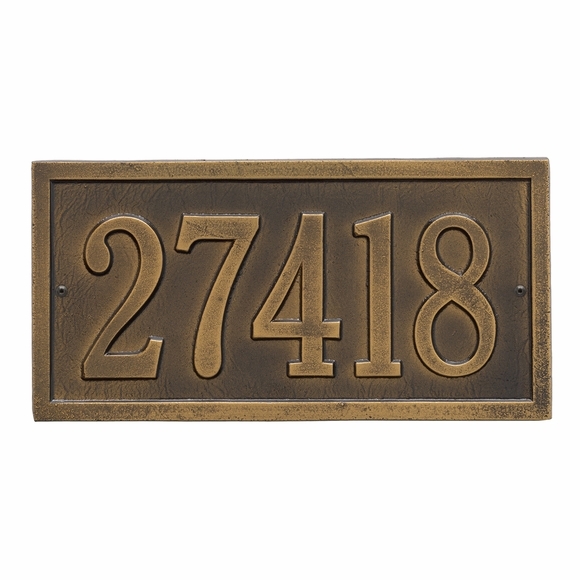 Decorative and uncluttered wall plaque holds five numbers.